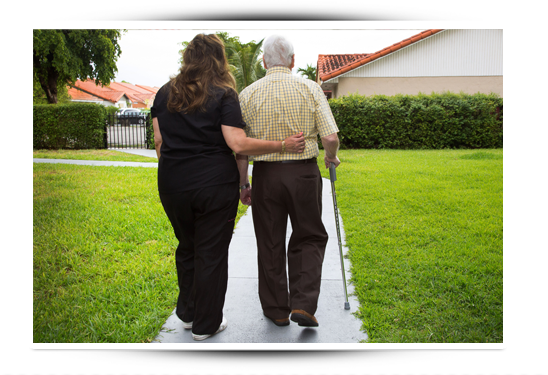 Value Care has been matching clients to those who need caring help in Boca Raton and the surrounding area since 2007. We are locally owned and dedicated to our community. We are committed to referring better quality caregiving services at the most affordable cost. Our mission is: More Help. Less Worry. People in need of care should have peace of mind that they are getting compassionate, qualified help. Our job is to ease the burden of finding qualified, compassionate care. Our clients are already dealing with a struggle; we hope to make that struggle easier. Those in need of home care services shouldn’t have to waste time and money looking for qualified help. We screen all of the caregivers we refer, not only for criminal background history and appropriate certifications, but for special traits – the kind that our clients value most. Our FIVE STAR PROMISE outlines the extra testing and screening processes each of our applicants undertake. Minimum of one year of hands on experience in home health care. By screening potential caregivers to these tests, we feel confident in referring these caregivers and matching them with our valued clients through our Care Match Program. We spend the extra time because our clients are looking for more help and less worry from the very first day. Our exclusive testing and screening processes help us to guarantee that you are happy on the very first visit. We continue communicating with you as part of our First Day Satisfaction GUARANTEE in order to verify the referral service meets your needs. The burden of care for an individual family member can be difficult, and we know that flexibility is a vital part of care. Our clients in Boca Raton control their care schedules, all at the most affordable cost. Whether our clients need around the clock care, occasional companionship, or someone to assist in running errands once or twice a week, Consider Us first to refer caregivers that can match your particular circumstances. You never pay for more care than you need.